It’s that time! 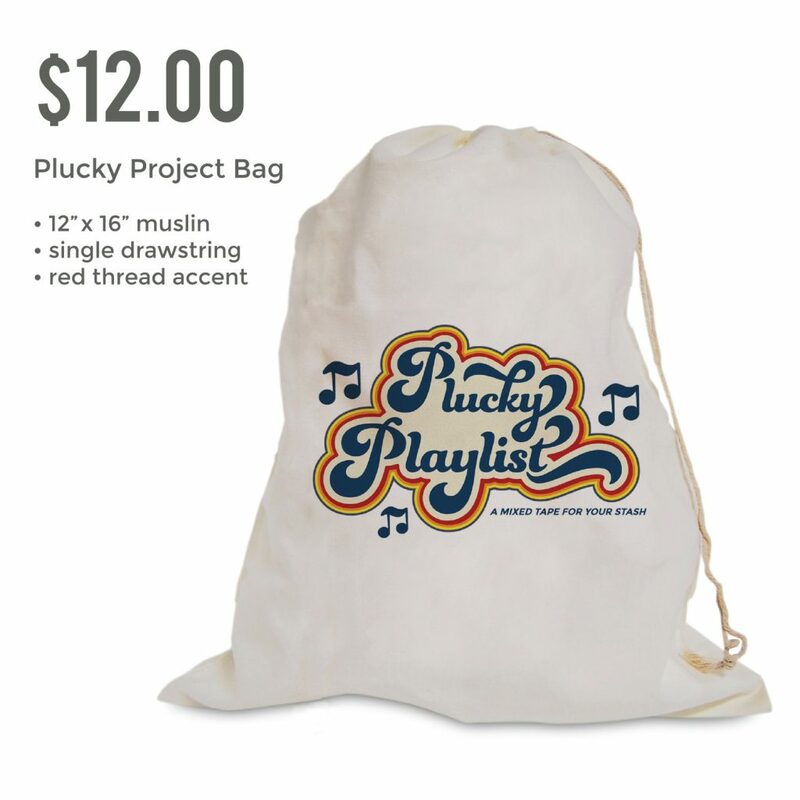 Time for a new round of both Plucky Classics and Plucky Luxe! 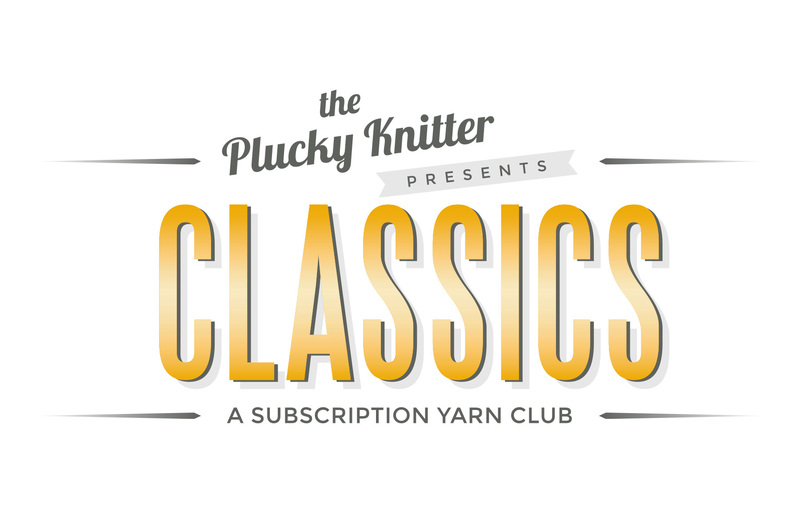 Sign-ups begin right here on the Plucky Blog beginning with Classics on Monday, July 24 – Wednesday, July 26, 2017 followed by Plucky Luxe, Thursday, July 27 – Friday, July 28, 2017. We are super excited to open up our subscription clubs! This time we’re starting afresh with the ability to use the new My Account feature on our website. We want to give everyone a chance to sign-up for something new or give Plucky Classics or Luxe a whirl for the very first time! We’re saying goodbye to a few bases from the previous rounds but we’ve rounded out the options between the clubs with new bases that have quickly become Plucky favorites. For those who may be contemplating Plucky Classics, let me give you a little background. Hayley and I love old movies. The Classics. Or, at least those that we consider to be classics! Our idea of a perfect evening is to slip an old movie into the DVD player, make some popcorn, sit back with our knitting and lose ourselves in a movie. But, it’s not just the oldies that we consider Classics. Who doesn’t love a cheesy 80’s or a 90’s disaster movie? Our tastes are eclectic, to say the least. And, it’s from our personal list of classic movies that we draw our inspiration for the Classics subscription colorways. Sign up for your Plucky Classics in July and payments will automatically continue, every-other-month. Your first shipment will be sent by the end of August. Payments and shipments will continue in this manner until cancelled. And what about Plucky Luxe? Does it work the same as Classics? Well, yes…and no! 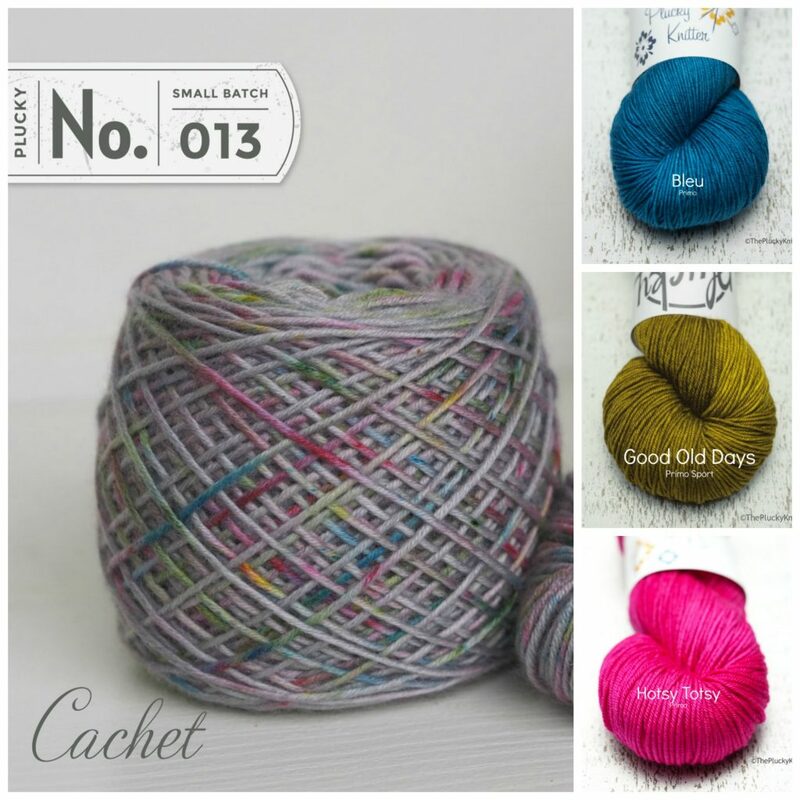 Plucky Luxe gives you an opportunity to have regularly scheduled doses of luxury cashmere and special cashmere blend bases arriving at your door, but on a budget plan! How does that work you ask?! Upon enrollment, a first payment (half of the total subscription cost) will be deducted from your PayPal account or charged to your credit card. The second half will then be processed on the same date in the following month. 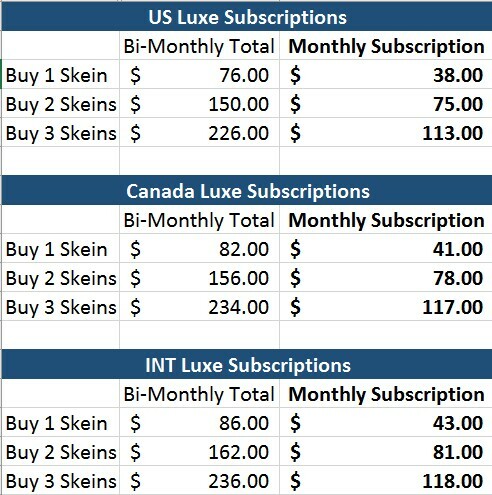 Your Luxe subscription will then ship in the beginning of the month following the second payment of each 2-month cycle (i.e. : Payment in July, payment in August, shipment in early September).Your Plucky Luxe subscription will continue on this payment plan and shipping schedule until cancelled. Sign-ups go live on Monday, July 24 for Classics, and continue through Wednesday, July 26, or until spots remain available. Luxe sign-ups will be live on Thursday, July 27and continue through Friday, July 28, or again, until spots remain available. 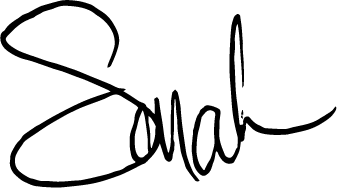 Both sign-ups will be on the Plucky Blog. Subscription payments will repeat on this same schedule until the subscription is cancelled, which you will now be able to manage using the ‘My Account’ feature on our website! By the end of every month following the subscription payment, your Classics order will be shipped to you. 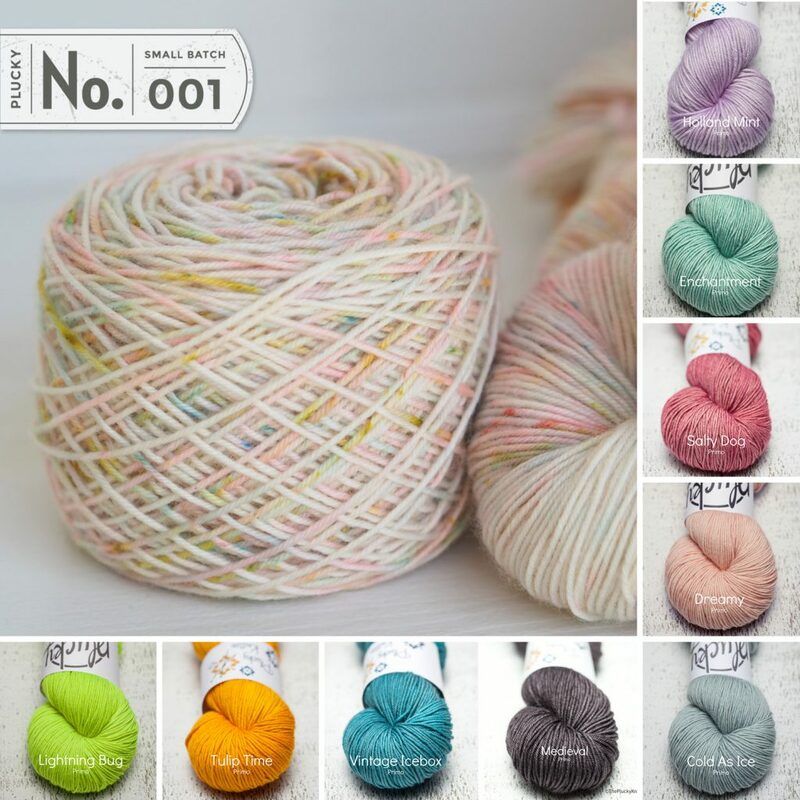 You will continue to receive yarn, every other month, as long as payment processes and your subscription remains active. For example, subscriptions paid in July will ship by end of August. Luxe will ship the beginning of the month following the second payment of each 2-month cycle. Example: 1st subscription payment in July, 2nd payment in August, shipment in early September. The base and quantity you choose will be your subscription until you cancel your subscription. You may cancel your subscription at any time however, you may not change your subscription mid-term or sign-up for a new subscription until sign-ups open again! 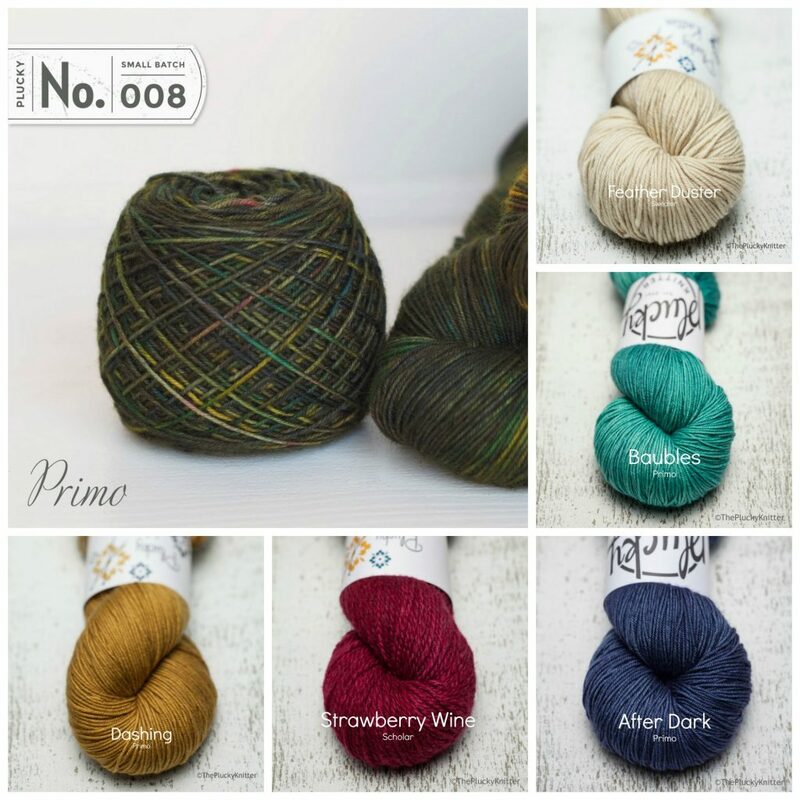 Pricing will be our standard per skein yarn price plus shipping to your location. You can have multiple subscriptions in ONE signup! Plucky Classics is a great (and fun!) way to ensure you get a regular dose of Plucky yarn, especially if you find it difficult to make the updates (time zones, work schedules, etc.). Plucky Luxe allows an opportunity to indulge in the luxury of cashmere without breaking the bank! 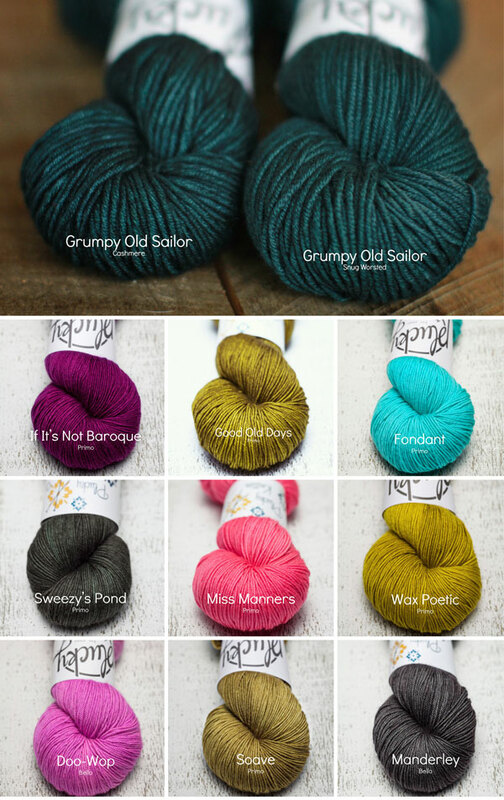 Sign-up and yarn will magically appear in your mailbox. Easy Peasy! Please note: Subscriptions will be sent as they are ordered. If you have extenuating circumstances or questions, please email us at pluckycustomerservice@gmail.com at any time with questions and we will be happy to assist you! There’s nothing like a brand new CLUB to launch a brand new year! I know it’s hard to believe, but there might be a few people out there who think we are all talking about a thin layer of pond algae when we profess our love for scum. But, no way, not us. We are talking about those warm, earthy colors that only nature could suggest. These colors are the moss that grow on the shady side of trees and the mushrooms that smell of the earth. Scummy colors happen when you take any color and bring it into the dusky afternoon of a forest, shaded from the brightest lights. Which side of the coin best describes you? Are you like Hayley who absolutely glows when wearing colors like Fiona, Triple Crown, Joe Banks or Ogre right up against her face? Or are you more like me who needs to place a cooler buffer between your face and the scum’s? While Hayley looks terrific wearing something knit entirely in warm, earthy colors, I use those same colors as the accent to help my brighter, cooler and neutral colors pop. Please join us on Friday morning, January 8th at 9:00 am EST and again on Sunday evening, January 10th at 8:00 pm EST, as we launch our For The Love of Scum club. 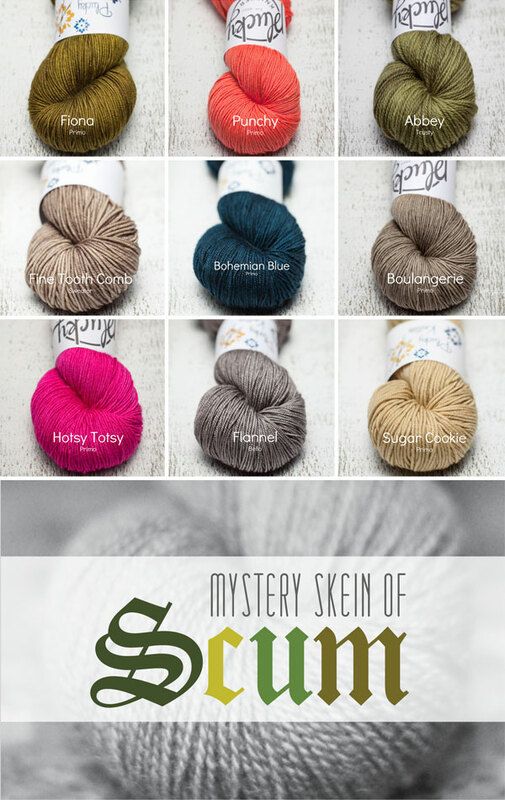 We will be featuring a brand new scummy mystery color that promises to be gorgeous as a stand-alone color or paired with a multitude of other Plucky colors. 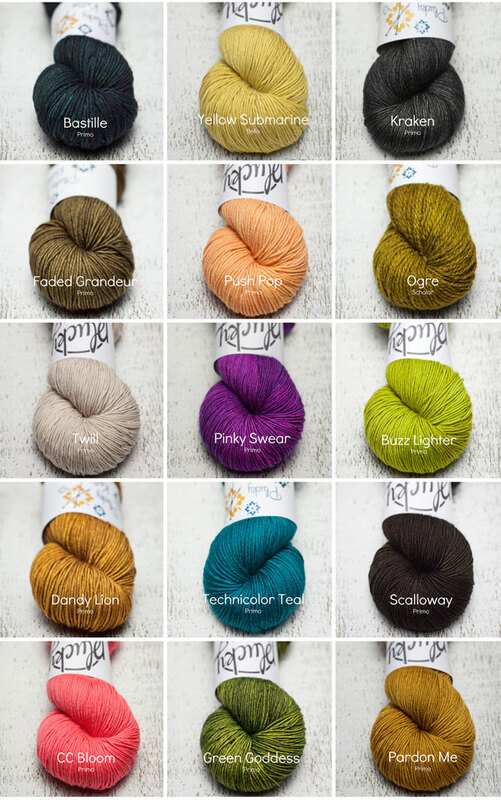 In addition to the mystery color, we will include lots of your favorite scummy colors and a great selection of brights and neutrals that play beautifully with their scummy color friends. A note about the Scum club…please don’t expect just versions of greens or yellows with this club – these colors come in many varieties and hues of all sorts! The above collage and the list of bases below is a taste of what to expect for this update, but remember; the lists aren’t finished just yet! 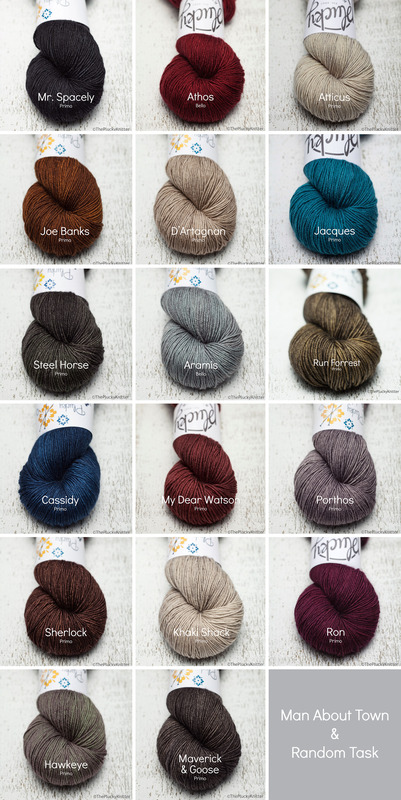 As always, we invite you to post your wishes in our Wishlist thread and be sure to keep an eye on the Update News & Announcement thread in our Ravelry Group. Hayley and I will be posting some of our favorite mixes and combos, all focusing on scummy colors. This is also where you will find the final listings of colors and bases that will be offered in this For The Love Of Scum club update. This is a preorder update and will be held on the Plucky Blog at the dates and times listed above.If you are new to Plucky we invite you to read all about our Blog Updates in the FAQs found HERE. Also, be sure to sign up for our eNewsletter and download our Plucky Knitter app (links below) so you are always up-to-date on events and news.